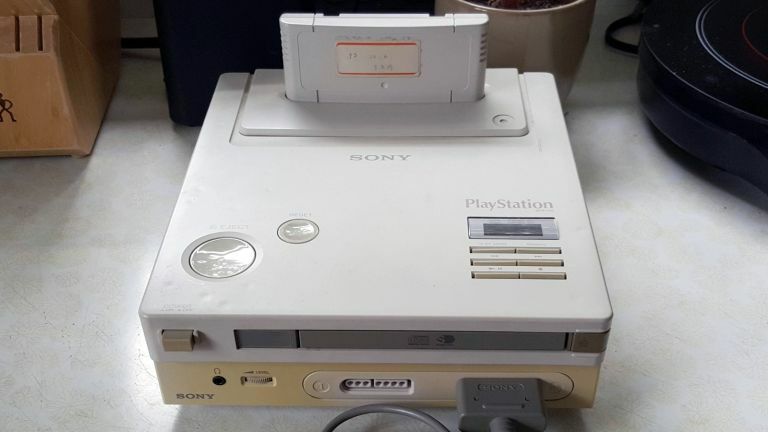 Did you know Sony worked with Nintendo on a PlayStation console? Well a prototype of that very project has just been discovered. It sounds like an unlikely slice of gaming history, but it's real. A SNES PlayStation has been shown-off in a YouTube video. The console was discovered by a chap called Dan Diebold, whose father recovered the thing in an office clearout several years ago. There's no footage of it working yet, and it simply may not do. But there's a pretty strong argument for this ending up in a museum somewhere. It's a prototype of a console project announced at CES 1991, one designed to play both SNES games and those of the SNES-CD format, which never materialised. It was outed almost four years before Sony would go on to officially announce the first Sony PlayStation in December 1994. So why did Nintendo work with Sony on the project? Along with Philips it developed the CD format, something Nintendo had no experience with at this point. However, the relationship broke down following disputes about rights for SNES-CD games. Clearly Sony realised there was money to be made in games. Talking to Polygon, the discoverer of the console Dan Diebold says, “I'm sure my dad would think about selling it because he's pretty broke.” This is one knackered old console that would fetch a pretty penny over on eBay.